Thanks for stopping by! Thanks for sharing a humorous moment with this old cartoonist! 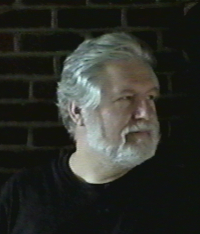 About Me: Bruce H. Bolinger began work after graduation from Art Center College of Design He moved with his wife and children to the funny little rounded Appalachians of Pennsylvania to launch Freehold Studio, a successful freelance art service. He has contributed artwork and cartoons to numerous books, comic books and magazines. One career highlight included working for Cracked Magazine for a 12-year period, until the magazine closed, three years of which saw Bruce working with the late and great Don Martin as his inker. He also had a three-issue comic book through Rip Off Press, the famous underground publishing company. Another highlight was writing and designing greeting cards for two companies on the national market, as well as a small line for The Paper House, a UK-based company. Bruce’s cartoons have appeared on over 50 t-shirts, in newspapers and magazines like Reader’s Digest, This Old House, The New York Daily News, Washington Monthly and Stitches, the outlet for medical humor. His originals sell on the internet. His humorous, finely-detailed brush, pen-and-ink originals grace the walls of bathrooms all across this great land and are rapidly becoming highly-prized American collectibles. My Interests: My creative interest lies in providing a humorous bright spot in the journey through your day. Stop in a second and enjoy a Lucid Moment with me! » BRUCE'S SEASONAL MESSAGE Consider cards for these well-known, year-round seasons of the heart. A time to be born and a time to die, a time to plant and a time to pull out what was planted, a time to kill and a time to heal, a time to tear down and a time to build up, a time to cry and a time to laugh, a time to mourn and a time to dance, a time to scatter stones and a time to gather them, a time to hug and a time to stop hugging, a time to start looking and a time to stop looking, a time to keep and a time to throw away, a time to tear apart and a time to sew together, a time to keep quiet and a time to speak out, a time to love and a time to hate, a time for war and a time for peace. Hi Bruce! Thank you for your kind words! I really appreciate the feedback. I love your comedic style and cutting edge illustrations. Your artwork is easily recognizable and I have enjoyed it for many years. ( I won't say for how many though - haha!) Laughter is good for the soul...keep up the good work! Great lawyer cards! Keep up the good work. Love that quirky sense of humor and the great illustrations that are pared with great messages. Kudos!!! Your work is fantastic! I also admire how even though you are busy with your national audiences, you take the time to contribute to the Forum, including providing detailed positive feedback for various artists' featured cards.You're a kind-hearted fellow! Your cards make me laugh out loud. My favorite is the spiral ham dinner invitation. I also like your sick humor in your get-well related cards. What motivates you to create such humor? It can't be money. I never knew a rich artist. Keep it up.we all can use more laughs.